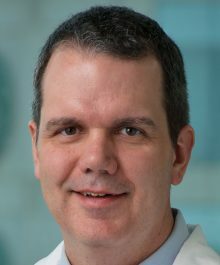 Home Research Faculty Matthew E. Merritt, Ph.D.
Research Interests: Metabolism, stable isotope tracing, magnetic resonance, and hyperpolarization of substrates for use as metabolic contrast agents. Matthew Merritt received his PhD in physical chemistry in the lab of Dr. Jacob Schaefer at Washington University in St. Louis, MO (1996). His dissertation focused on determining 3D structures in condensed solids, including polymers and biopolymers, using solid state NMR distance measurements. He then joined the lab of Dr. Gary Drobny at the University of Washington in Seattle. For his post-doctoral research at UW, he determined structural constraints in DNA using 31P-19F REDOR solid state NMR. In the year 2000, he joined the staff of the Radiological Sciences Department at the University of Texas Southwestern Medical Center in Dallas, Texas. In 2004 he was promoted to research faculty, and in 2008 to tenure track faculty as an assistant professor. In 2015 he was promoted to Associate Professor of Radiology at UTSW. In September of 2015 he joined the UF faculty as an associate professor of Biochemistry and Molecular Biology. My research is focused on understanding intermediary metabolism in mammalian systems. Towards this goal, I apply two similar methodologies for measuring metabolic flux. 1) Steady state 13C and 2H isotopomer analysis. This method uses models of steady state metabolism and isotopomer distributions measured by NMR to infer relative flux through competing metabolic pathways. 2) Real time analysis of metabolic flux using hyperpolarized metabolic contrast agents. Hyperpolarization is a method for dramatically increasing the sensitivity of NMR. With the enhancements achieved, enzyme kinetics can be directly observed in functioning tissues. I have multiple targets for these methods. First, myocardial metabolism is an excellent platform to apply both the steady state and kinetic analysis, as myocardial metabolism is almost entirely oxidative. Second, hepatic metabolism is a primary target for pharmaceutical manipulation, as the failure to regulate endogenous glucose production is a primary cause of the high circulating blood glucose levels that characterize diabetes mellitus. Finally, intermediary metabolism, most notably glycolytic flux, is profoundly changed in cancer. 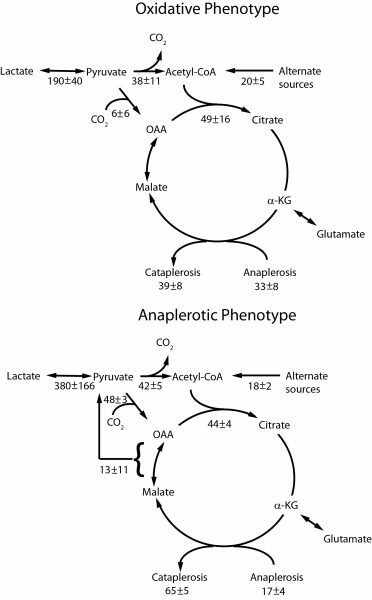 All of these targets are in general characterized by a paucity of data related to intermediary metabolism. We are currently applying our NMR based methods in all these areas.